As a provider of in-home care to elderly individuals, you can expect that at some point, your clients may be hospitalized for a period of time. Reasons for senior hospitalizations range from everyday illness like the flu, to broken bones or a medical event such as stroke, heart attack, or diabetic emergency. Regardless of the reason for hospitalization, when a senior is discharged from the hospital and ready to come back home, home care agencies utilizing a reliable home care software or home care system can be an asset in helping manage post-discharge care. With the assistance of technology, such as a home care software or home care system, home care providers can coordinate with family caregivers and clients to ensure that clients recover; instead of requiring re-hospitalization. When a senior is discharged after a hospital stay, there will likely be new facets of their care regimen. For instance, daily medications, exercises, or diet may have changed. For instance, clients that once went for a daily walk may instead require assistance moving about the home with a walker for a period of time. When you agency utilizes a home care system, like ClearCare, to communicate shift tasks, caregivers will have easy access to new routines – and family members won’t need to worry about any new needs being overlooked. Home care providers can use their home care software or home care system to track medications, which can be an especially tricky facet of post discharge care. Often, after a hospitalization, seniors will be prescribed a new medication for pain management or to treat a newly diagnosed condition. However, often these medications are not properly reconciled with existing prescriptions. However, home care agencies utilizing a robust web-based home care software, such as ClearCare, can provide access to client care records to both family members and physicians to ensure that medications are properly reconciled, in addition to ensuring that caregivers remind clients to take medications as directed. Managing post discharge care can be an intimidating task for family caregivers. After an elderly loved one is released from the hospital, there are follow-up visits with specialists and primary care physicians, prescriptions to be filled, new nuances in care; which all require the time and attention of a caregiver. Private duty agencies can be a valuable support team for family caregivers by providing help with medication reminders, transport to medical appointments, and attention to new needs. With a home care software or home care system, home care agencies can schedule post-discharge tasks to ensure that client’s needs are met on time to reduce the risk of re-hospitalization. 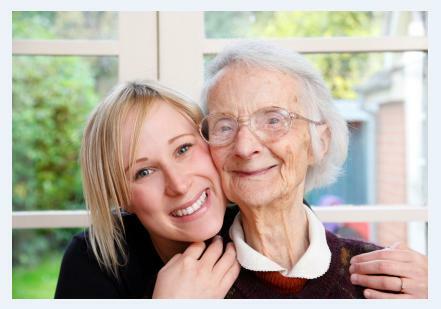 While the hospitalization of an elderly client can be frightening for family members, home care agencies have the ability to step in an offer the support and expertise of their staff, coupled with a robust home care software or home care system, like ClearCare, to make sure that recovery goes smoothly at home.